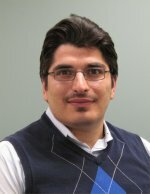 Mohamad Hejazi is a research scientist with the Joint Global Change Research Institute (JGCRI) and the Pacific Northwest National Laboratory. He holds a Ph.D. (2009) from the University of Illinois at Urbana-Champaign, and a B.S. (2002) and M.S. (2004) degrees from the University of Maryland, College Park. His research interests include: global hydrologic modeling, global and regional sectoral water demand models, separating the effect of climate change, human activities, and climate policies on hydrology, and the value of information (e.g. weather and climate forecasts) to human decisions (e.g., farmers, reservoir operators). Prior to joining JGCRI-PNNL, he worked as a postdoctoral research associate at the University of Illinois Urbana-Champaign and as a research assistant at the USGS and the Illinois Water Survey. Voisin N., L.R. Leung, and M.I. Hejazi. 2016. "Drivers of Change in Managed Water Resources: Modeling the Impacts of Climate and Socioeconomic Changes Using the US Midwest as a Case Study." In Terrestrial Water Cycle and Climate Change: Natural and Human-Induced Impacts, edited by Q Tang and T Oki. 169-192. Hoboken, New Jersey:John Wiley & Sons, Inc. PNNL-SA-118569. Hejazi M.I., J.A. Edmonds, and V. Chaturvedi. 2012. "Global irrigation demand - A holistic approach." Irrigation & Drainage Systems Engineering 1, no. 2:Article No. e106. PNNL-SA-89360.